The speed-gun showed Nagarkoti hit 147 kmph mark. 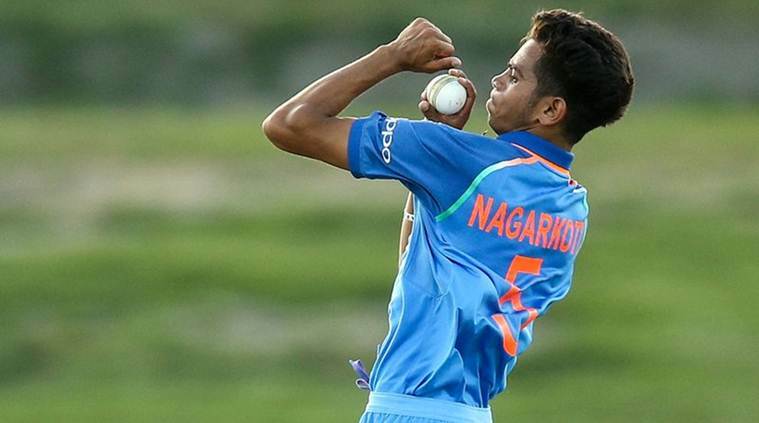 India U-19 pacer Kamlesh Nagarkoti’s fast and furious delivery, which castled the Aussie U-19 batsman Will Sutherland at a speed of 145 kmph has become the talk of the town on Sunday (January 14). Along with his bowling partner Shivam Mavi, Nagerkoti consistently bowled with some hostile pace with one express delivery touching 149 kmph mark. Prior to the match, the buzz was totally surrounded around the classy Indian batsmen including Prithvi Shaw, Manjot Kalra and Shubman. 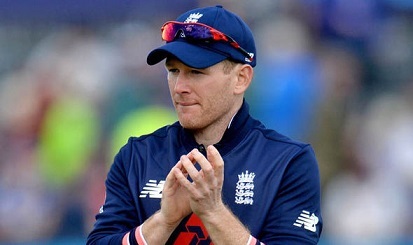 However, Indian pacers took everyone by surprise and shown that they are capable of outpacing their counterpart. 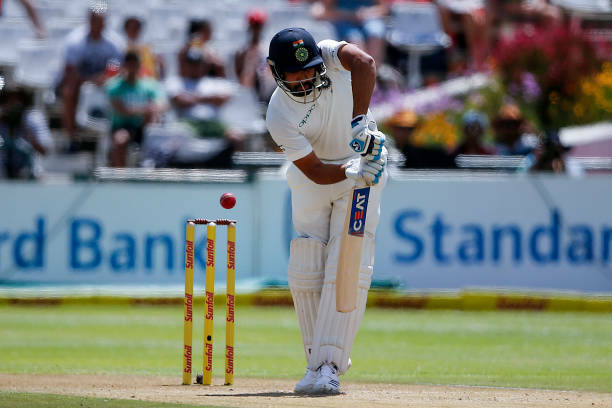 Having opted to bat first after winning the toss at the picturesque Bay Oval, Maunganui in New Zealand, India amassed 328/7 owing to skipper Shaw’s 94, Kalra’s 86 and Gill’s 63. In reply, Australian batsmen never looked at ease in front of the fiery India pace attack. However, the turning point came in the 15th over. After touching 144 kmph mark in the very first delivery, Nagarkoti got rid of Max Bryant in the very second ball with a 144 kmph delivery. The third delivery was executed at 146 kmph to the Australian skipper Jason Sangha while the fifth delivery was delivered at 144 kmph. The final delivery clocked 147 kmph, which made everyone sit up and take notice of India’s future prospect. Following his fiery three-over opening spell, Nagarkoti came back in the 35th over and again bowled his heart out with three deliveries touching 143, 145 and 145. In his second spell, the 18-year-old Nagarkoti also got the wicket of Austin Waugh, son of legendary Australian captain Steve Waugh. 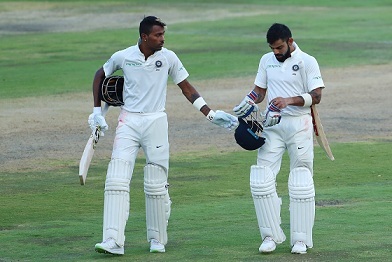 Nagarkoti finished his spell with the figures of 71-1-29-3 as India opened their campaign with a thumping 100-run victory. In the 2016 edition of U-19 World Cup, West Indian pacer Alzarri Joseph had grabbed the headlines for clocking 149 kmph. It remains to be seen if Nagarkoti can breach the barrier in the upcoming matches. India are scheduled to face Papua New Guinea in their next encounter at Bay Oval, Mount Maunganui on Tuesday (January 16).